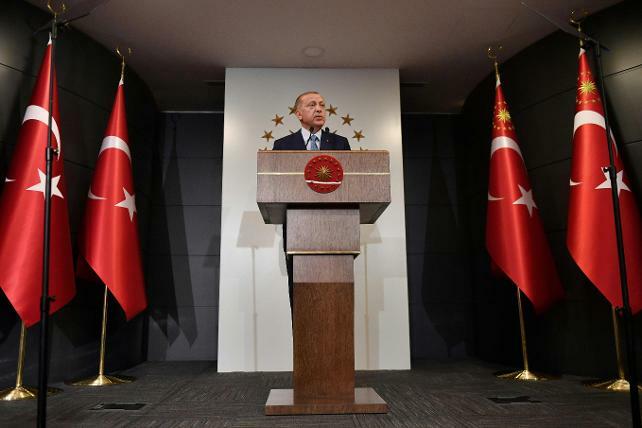 A new decree issued in Turkey on Wednesday transfers some powers held by the cabinet to the president, in line with the country’s move to the executive presidential system which is being ushered in following the June 24 presidential and parliamentary elections, secular Cumhuriyet daily reported. Turkish President Recep Tayyip Erdoğan’s victory in last month’s polls makes him the first president under a new executive presidential system, granting him the powers of the presidency, prime ministry, and commander-in-chief all rolled into one. The latest decree, issued in Wednesday’s official gazette and set take effect when Erdogan takes the oath of office in a few days, overhauls laws dating from 1924-2017, altering references to the prime minister and cabinet of ministers to the president and the president's office. Turkey voted in favor of a move to powerful executive presidency in a referendum held last year. With the new system, the office of prime minister is to be abolished and the president will be able to form and regulate ministries and remove civil servants, without gaining parliamentary approval. Turkey’s leading Justice and Development Party (AKP) has been issuing decrees that bypass parliament since the implementation of a state of emergency imposed following the country’s July 15, 2016 coup attempt.